Some people think that the wine cellar flooring is not an important aspect of a wine cellar and that any material can be used. 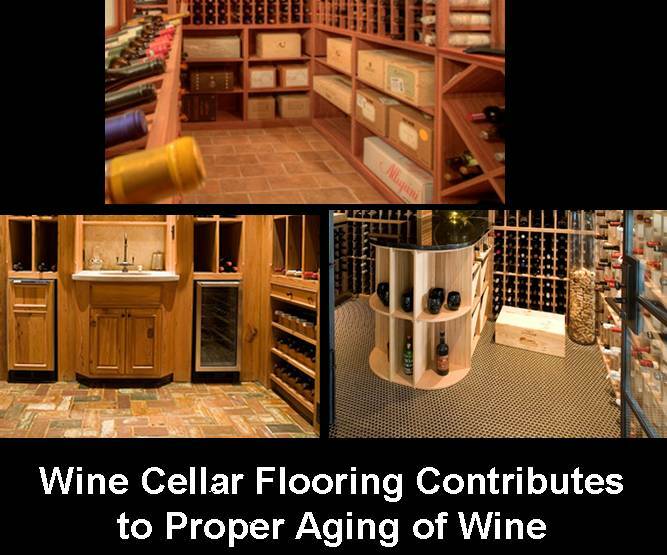 The truth is that wine cellar flooring contributes to the proper aging of your wine collection. As we run through this article, we will tackle the things one must know about the function of wine flooring and types of flooring materials commonly installed in wine cellars. Whether your residential wine cellar is in the basement or in another part of your home, it is vital that you carefully consider your wine cellar flooring requirements during the design process. When choosing a flooring material, one must consider the weight of the bottles, the racks and other cabinets to be placed inside the wine cellar, and of course the location. The flooring materials of wine cellars constructed in lower levels of a home or building are often installed over concrete. You must keep in mind that the concrete should be sealed and installed with a vapor barrier before laying the flooring materials. Doing so will prevent the flooring material from warping over time and will help maintain a stable temperature and humidity level in the wine cellar. 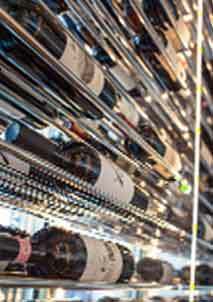 There are many types of flooring ideally used for custom wine cellars. These are tile, marble, slate, vinyl, wood, cork, and wine barrel. Let’s focus on 3 widely-used flooring materials used in many wine cellars. One of the most popular and widely available flooring materials used for wine cellars is wood. Hardwood is plain and simple, but with a little creativity you can form great patterns by mixing and matching different finishes for this material. Wood flooring for your wine cellar can be a good conversation piece and is ideal for use if you’re not installing directly onto concrete. Cork is another well known wine cellar flooring material used by Texas wine cellar builders because of its durability and sustainability. Cork is a natural insect repellant and is usually treated with Microban to help it become resistant to mold and mildew. A protection system is also applied to cork to prevent wearing due to spills or frequent mopping. It is also known to be a shock absorber because of its cell structure. Recycling cork is environmental friendly because a whole tree is not cut, only its bark. Aside from this, cork is considered a rapidly renewable resource, thus it is widely available in the market. Easy installation, affordability, and ability to complement any décor are other advantages that make wine cellar cork flooring a good choice for wine collectors! With its unique characteristics and features, wine barrel flooring is also a good option. It comes from reclaimed oak wine barrels (stave, cooperage or infusion can be used). It can be attached easily on a surface installed with a vapor barrier. This flooring creates uniqueness and a classic look to your Texas wine cellar. It must be installed on a raised foundation or on a sub-floor. Having read some of the kinds of materials that can be used as wine cellar floorings, you might want to have it made and installed by the experts. The only name that you can trust who can meet any of your wine cellar needs is Wine Cellar Specialists who have been in the business for many years now. 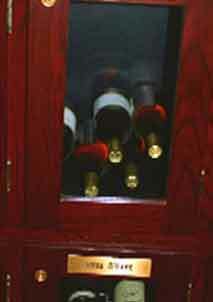 They create Texas custom wine cellars both for residential and commercial purposes. They also offer accessories and other things that you may need for your wine cellar including table tops, ladders for wine rooms, wine barrel carvings, and wine cellar art. If you are looking for a wine storage solution, they have affordable and durable wine racks and wine cabinets that you can choose from. 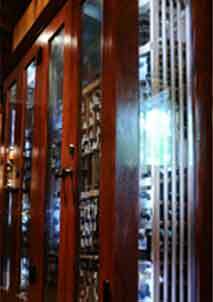 Wine Cellar Specialists will assure you that the process of creating your precious wine cellar is worry-free. The company will provide you with your own specialist who will assist you in all your wine cellar needs starting from the design phase (or the drafting of the design of your cellar) up to the installation. You can be sure that you are in good hands because Wine Cellar Specialists aim to provide their customers with the best quality at the best price. 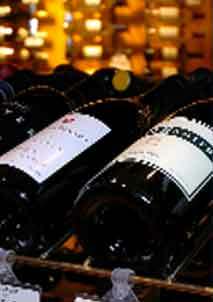 Visit their website at http://www.winecellarspec.com/ or call them today at 866-646-7089. Remember that whatever type of flooring you choose, it must be according to your own preference, budget, and wine storage requirements.